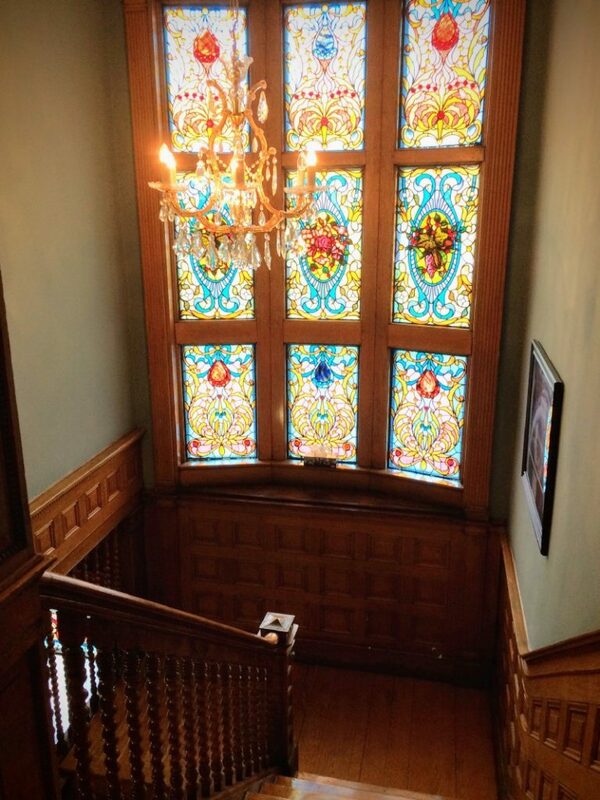 2 Mecklenburg Street is a glorious celebration of rich woodwork and stained glass! Known in heritage circles as Thomson House, and built for a prominent ship owner circa 1895, it is primarily a long-term stay building, but the occasional nightly guest is sometimes fortunate enough to have the opportunity to stay as well. 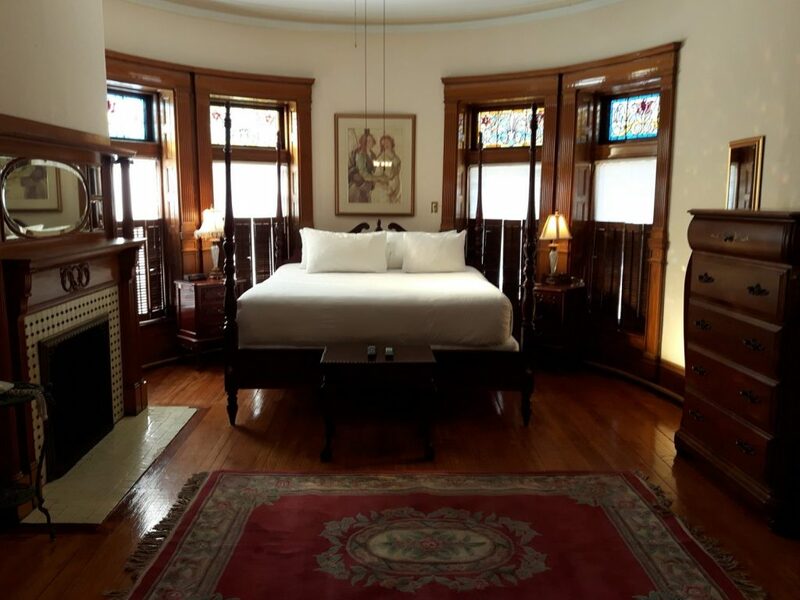 Our most spacious suite occupies the ground floor of this grand old dame of a building, with three bedrooms, two and a half baths, full kitchen, dining and living rooms, AND en-suite laundry. 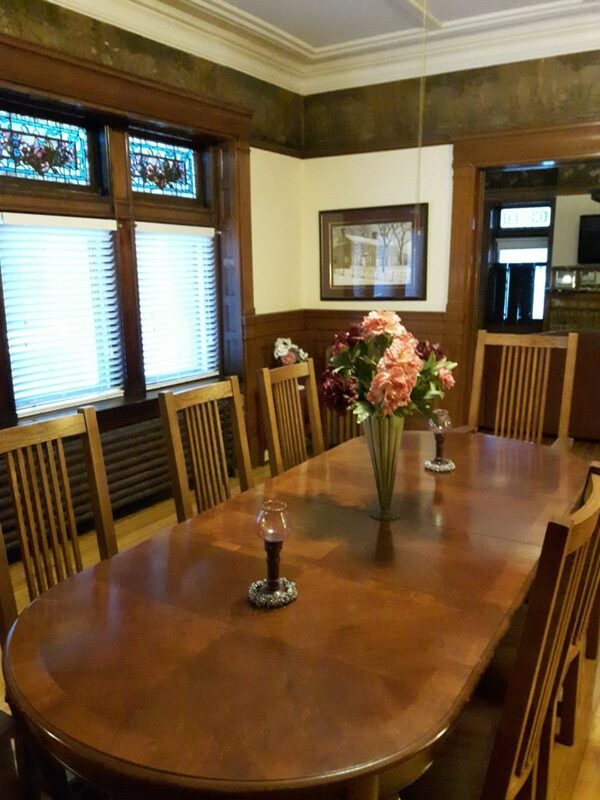 But that’s not all… twelve stained glass windows and six fireplace mantles round out this spectacular apartment! 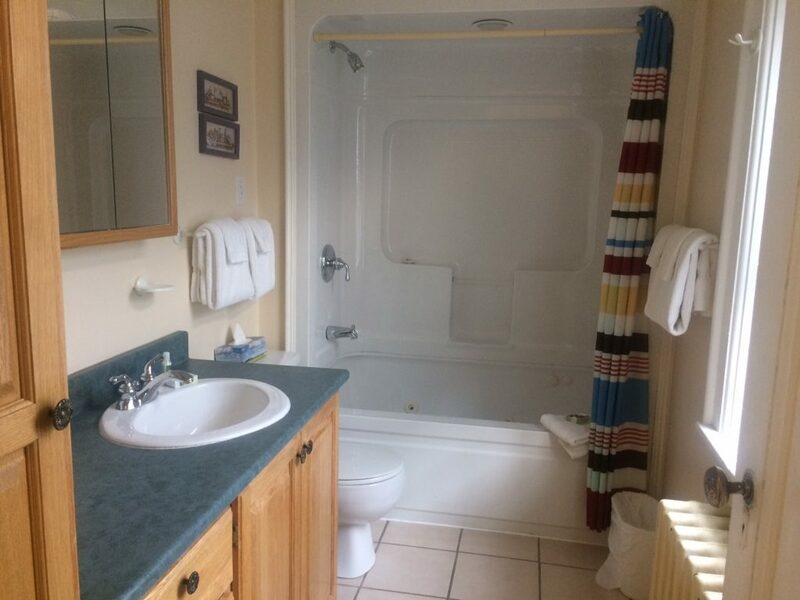 There are two large two-bedroom, two-bathroom units on the second floor, and a third two-bedroom along with a one-bedroom unit on the third floor. 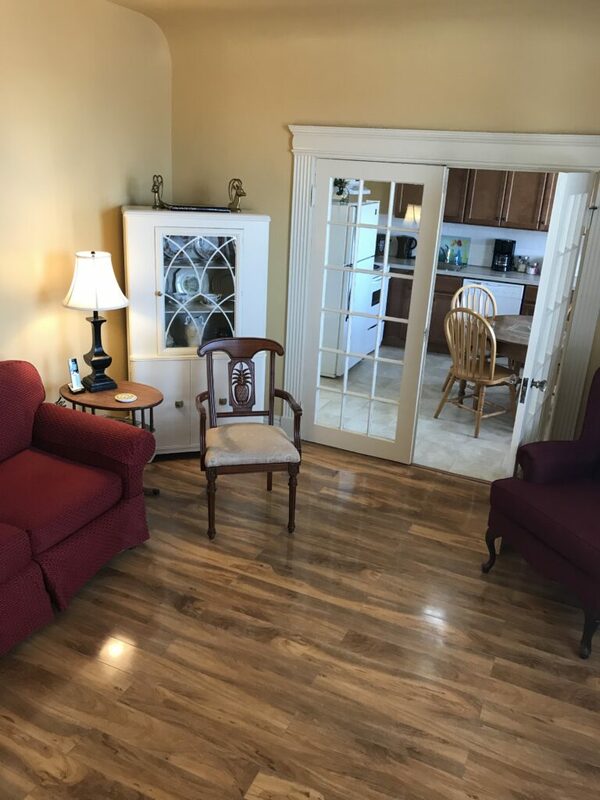 The suite composition is rounded out with two basement level units accessed by the back door of the building; one a small but comfortable one-bedroom unit and the other a more sprawling, two-bedroom layout. 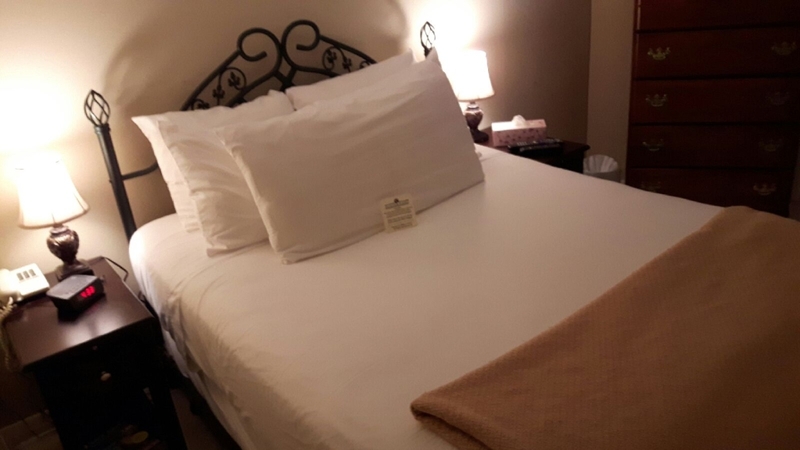 The complimentary guest laundry is located on the second floor of Meck (as we call it), and as at all our properties, we provide laundry detergent as well. 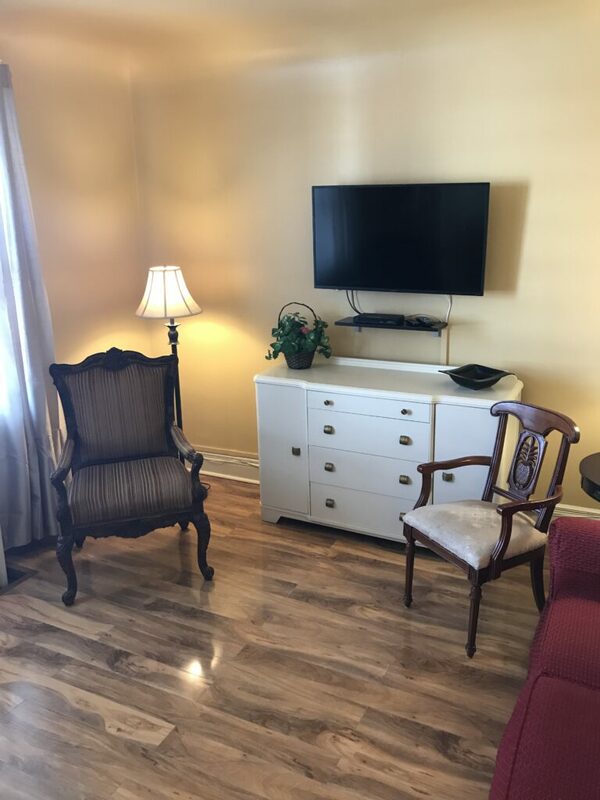 People tend to think of this property as a bit out of the uptown core, but it is located just two blocks south on Sydney Street from King Square, around which perimeter one can find the brand new Irving Oil Home Office, the Imperial Theatre, and the Saint John City Market. “Meck”, as we call it, is also right across from Queen Square where there’s a very popular farmer’s market on Sundays from May thru mid-October. From this building you’re an easy 5-10 minute walk to any of the streets populated with the many new and long-established restaurants, shops, and bars that make the uptown such a popular destination! Check out the Uptown Saint John website to see all that you can take advantage of as you #livelifeuptown and #lovelifeuptown at 2 Mecklenburg Street! For information on parking at 2 Mecklenburg Street, please click here. 2 Mecklenburg Street has a Walk Score of 89.